Neuropathy is a very common condition in this country, and it can be caused by many different things, including type 2 diabetes. It is a debilitating condition, in which patients experience burning, tingling, numbness, and pain. Those with neuropathy experience a reduced quality of life and often look for appropriate treatment. Mainly, they will be offered injections and pharmaceutical drugs, which often only work for a short period of time and that have very negative side effects. 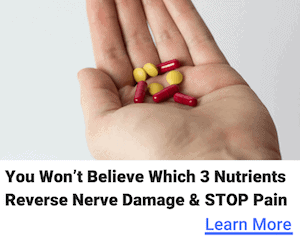 Unsurprisingly, a lot of people will choose to use supplements for neuropathy instead, particularly if they are made up of natural ingredients. In this regard, there is a popular supplement for neuropathy on the market today and this is Nerve Shield. This review will take a look at Nerve Shield, particularly its ingredients, its main benefits, how it works, its side effects if any, customer complaints if any, customer feedback, whether it is worth buying it, where to buy it, and whether there are alternative supplements. Nerve Shield is an all natural supplement designed to fight the symptoms of different types of neuropathy. This product is also gluten free, so it can be used by those with sensitivities. The ingredients contained in the supplement are designed to improve the functioning of the nerves, focusing particularly on the health of the myelin sheath. The ingredients are strong antioxidants as well as having anti-inflammatory properties and capability for improving overall blood circulation. Nerve Shield is manufactured by REDD Remedies. To develop Nerve Shield, they carefully selected different plants, minerals, and vitamins that are not only backed by Western science, but have also been used in both Oriental and Ayurvedic medicine. REDD Remedies focuses particularly on developing holistic, natural solutions for nerve health. They pride themselves on the quality of the all natural ingredients used. Nerve Shield aims to repair nerve damage, thereby reducing the sensations of numbness and pain. The ingredients are backed by scientific evidence and the effects should be noticeable within 90 days of taking two tablets per day with a meal. The focus of this product is on the peripheral nervous system, particularly the somatic nerves, which we need both during movement and rest. The somatic nerves are related to nerve pain, just like the autonomic nerves. However, autonomic nerves focus on involuntary bodily functions, such as those found in organs. The somatic nerves, on the other hand, focus on the brain and spinal cord, which are the nerves that tell the brain and body when to experience pain, cold, and heat. The somatic nerves are protected by a myelin sheath, made up of 75% lipids. With age and trauma, the quality of this sheath is reduced. Nerve Shield aims to address this, ensuring that the myelin sheath can receive all the necessary nutrition it requires to rebuild itself and continue to provide protection to the nerves. One way in which the product achieves this is by including water- and fat-soluble ingredients, which are highly bioavailable. 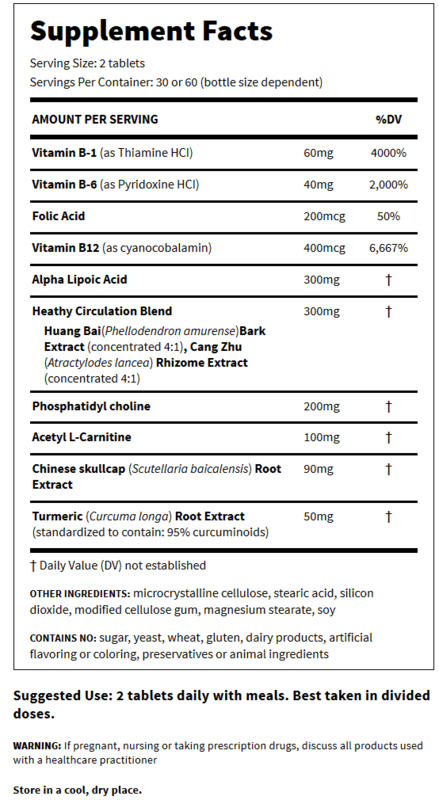 Nerve Shield contains a range of all natural ingredients that are all backed by scientific evidence. B vitamins, which are designed to help the myelin sheath rebuild and retain its structural integrity. A study, ‘The Relationship of Vitamin B12 and Sensory and Motor Peripheral Nerve Function in Older Adults’ is one of many that looked at the importance of B vitamins for the peripheral nervous system. Alpha lipoic acid, which is essential for the proper functioning of the nerves, particularly the autonomous nerves. 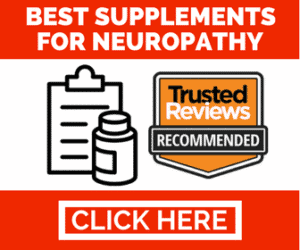 In 2010, one of many studies, ‘Alpha-Lipoic Acid and Diabetic Neuropathy’, was conducted on the positive impact of this nutrient on diabetic neuropathy. Acetyl L-carnitine, which supports the nerves’ fibrous structure and is an antioxidant. It also helps to produce glutathione, as shown in various studies including ‘Systemic acetyl-L-carnitine elevates nigral levels of glutathione and GABA’. Phosphatidyl choline, which is being extensively studied at present for its lipid properties, which make up 75% of the myelin sheath. One study in relation to this, ‘The choline pathway as a strategy to promote central nervous system (CNS) remyelination’, was completed in 2015. Cang Zhu and Huang Bai, two traditional Chinese remedies used to improve blood circulation, fight inflammation, and help heal jaundice. Turmeric, which contains curcumin, and Chinese skullcap, to help fight inflammation and support cellular growth. It may have an impact on blood circulation because of alpha lipoic acid and the Chinese herbs. Circulation is very important in terms of overall nerve health. REDD Remedies states that these effects take around 90 days to become apparent. It focuses particularly on the myelin sheath, which no other products on the market seem to do. It is a known fact that people with neuropathy often have issues with their myelin sheath, which makes this product quite interesting. Additionally, since it is both water- and fat-soluble, it is easy for the body to fully absorb the bioavailable nutrients. It contains curcumin, which is known to have a positive impact on both circulation and overall nerve health. It fights inflammation, a common cause of pain. It contains B vitamins, particularly vitamin B6, which has been scientifically proven to strengthen the myelin sheath and make neural transmissions more adequate. It also contains vitamin B12, which ensures fatty acids are properly balanced across the nervous system. It also includes folic acid, something that women take when they are pregnant to support the healthy development of their unborn baby’s central nervous system. It is made from all natural, gluten-free ingredients, which means it is also suitable for those with various sensitivities. There have been no reported side effects associated with Nerve Shield. This is likely due to the fact that it contains nothing but natural ingredients at an appropriate dosage. 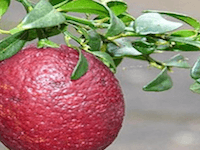 Additionally, it is a holistic product that addresses various other health concerns as well by being an anti-inflammatory agent and an antioxidant. There have been a few negative remarks about Nerve Shield. Those who complained often state that they did not notice any effect from the product at all. However, this means that this particular customer has taken the product for less than the 90 days recommended, which seems to be a common occurrence among those who complain. Overall, Nerve Shield has mainly been positively reviewed. People seem particularly excited about the fact that it can benefit different forms of neuropathy, rather than just one. Nerve Shield comes with a full 30 day money back guarantee. This means that those who are not happy with the product can return the unused portion of their bottle for a full refund. However, completely empty bottles are not accepted. Unfortunately, the effects of the products are not noticeable until 90 days after starting to take it. Overall, the product indeed has some benefits and it seems that many people have enjoyed taking it, experiencing significant improvements in their condition. Unfortunately, people do have to wait 90 days for the effects to become apparent, which is long, particularly considering the fact that the money back guarantee is only for 30 days. People who have neuropathy are also looking for a solution in the here and now, and not in the future. One the other hand, it contains nothing but natural, gluten free ingredients. The reality is that the effects of natural ingredients simply take slightly longer to become evident. This is also why they have fewer side effects, if any. 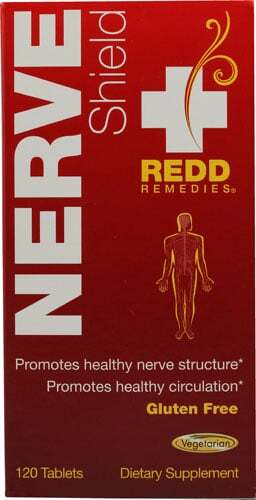 There are numerous places to purchase Nerve Shield, including Amazon, REDD Remedies, and Lucky Vitamin. It is important that you purchase it from a trusted source and for a good price. If you order through REDD Remedies themselves, a 60 day supply costs just $31.99, which is one of the cheapest on the market at the time of this writing. Not just that, you can also sign up for an auto shipment program, whereby a further 60 tablets are automatically billed and sent out every two weeks, four weeks, or two months. Nerve Shield is undoubtedly a good supplement, but we believe that Nerve Renew is a better alternative. One of the main reasons for this is that Nerve Renew starts to work almost immediately. Furthermore, it contains not just the same ingredients, but also other ingredients that also have scientific backing to prove they are effective, including vitamin B1, vitamin D, passionflower extract, feverfew extract, and oat straw extract. Lastly, the product has gone through very significant quality assurance tests, including Near Infrared Testing. This guarantees that you will receive a high quality, pure, and effective product. Nerve Renew, therefore, receives our overall top recommendation.